Hamada Helal, Egyptian singer and actor, born March 20, 1980 in Sharkia, Egypt. Full report on the life story of Hamada Hilal, biography information from Wikipedia and the latest news. Hamada Hilal was born on 20 March 1980 in Sharkia Governorate in Egypt. He has a bigger brother, Medhat, and two younger sisters, Hind and Nora. He moved to Cairo in the Red Zone. He was forced to go to the labor market at an early age. He did not complete his fifth year. Then his relatives noticed the beauty of his voice, and he began to sing at weddings and births. Haneen's work is unique. He recites the phrase "Sali al-Salabi". He continued this work alone and his brother helped him to know about Hassan Ash, who supported him a lot and introduced him to Hamid Al-Shaeri. Managed by Tariq Abdullah. Hamada appeared in cocktail albums with a number of singers and was able to prove his worth, which led the producer to prepare for his first albums in 1996. The first appearance of the Egyptian singer Mohamed Abdel Fattah Abdul Aziz Hilal, who was known as Hamada Hilal, was only seventeen when he sang in his album (The days) a number of songs sad and painful and sarcastic surprised everyone how this small to perform difficult songs fairly loud because of immaturity, and entered the talent market expectations between sure to end technically with the necessary sound changes when full maturity and between the belief that talent will continue and achieve Success. 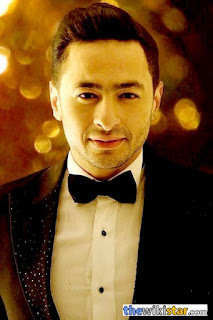 Hamada Hilal released more than four successful albums, the last of which was released in 2002 (Bakhaf), which is still on the list of the biggest sales in Egypt. Since the beginning of 2003 he won the Best Artist Award in the largest poll conducted in Tunisia The award was received by Tunisian President Zine El Abidine Ben Ali. "I was 16 years old when I started the sad, dramatic song that made me feel good and I really like it," Hamada said of himself, "even when I got an attack because of that, I stood firm and continued to present this song. This color is under the pressure of the company produced in the album (Dar Zaman), but despite the great success achieved, it did not compromise on a personal level I do not find myself in the fast song and I see that the songs that relate to reality and never lose its luster because the Egyptian mood tends to this Character of singing). Finally, after the January 25 Revolution, his creative song, Martyrs of January 25, who died - surprisingly - in the events of January, gave rise to a whirlwind on Facebook, which visitors did not like from their hot comments. Hamada Hilal married in 2009 from the Palestinian Asma Samih and his two sons, Yusuf and Arama, a daughter.